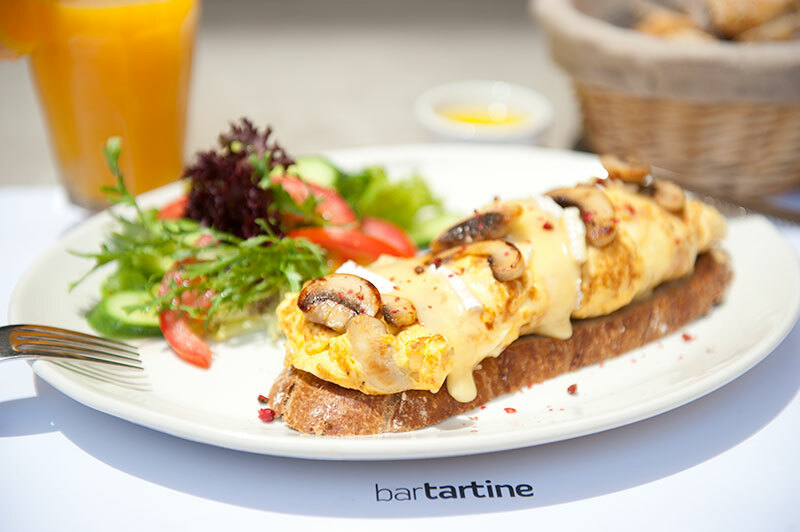 Tucked off the main road in Mar Mikhael is Bar Tartine. This is brunch for those who like the classics; sitting outside, enjoying some sun with a refillable bread basket and jam to go with it. Bar Tartine is for those who think a mild headache is a hangover and some fresh air is nature’s best cure. Its menu also caters to the most divisive split of modern times: savory or sweet? For the first camp there is a selection of egg dishes along with some Lebanese classics: labneh and zaatar. For the sweet toothed: brochettes, butter and jam. Bar Tartine even caters to those crazy enough to enjoy both with its set breakfasts. On the menu: If you fancy the slightly spicier things in life, there is a delicious Mexican omelet on the menu: eggs cooked with onions and chorizo sausage that comes with a side salad and aioli and avocado dipping sauces. Open: Open Sundays from 8 a.m. to 1 p.m.